Radon is a tasteless, odorless, colorless, radioactive gas. It has a half-life of 3.8 days, which means that, every 3.8 days, half of the radon will break down by the process of radioactive decay into a number of solids, including polonium and lead. 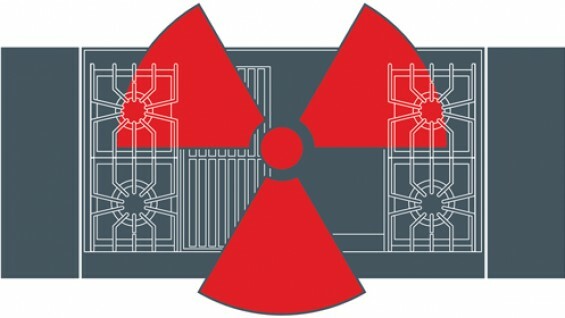 When natural gas containing radon is burned, the radon remains intact and vents into the surrounding air. It can only be destroyed by radioactive decay. Radon is the leading cause of lung cancer among non-smokers and the second leading cause among smokers. EPA attributes 21,000 lung cancer deaths per year nationwide to radon exposure. Radon and its decay products enters the body through inhalation into the lungs. The radon and its daughter products will decay in the lungs, causing cancer. Radon is present in all natural gas, particularly natural gas from deep shale formations, but radon levels vary considerably from one formation to another. Available studies indicate report that dark shales such as the Marcellus shale, which lies under the much of the northeastern United States and is centered in Pennsylvania, are more radioactive than other shale formations. It takes 4 to 8 days for this gas to reach the NYC metro area, well above radon’s half-life of 3.8 days. Based on these facts, the average radon levels in natural gas currently burned in NYC Metro Area apartment stoves should be 1.5 pCi/l or less, which is below the EPA’s recommended mitigation level of 4 pCi/l. A citizen radon monitoring project organized by Sane Energy has found current radon levels in apartments to be predominantly below 1 pCI/l. Existing studies and information on radioactivity levels present in byproducts of Marcellus shale gas extraction strongly suggest the radon levels in Marcellus shale gas will be dramatically higher. A 2012 limited survey by the United States Geological Survey found a median radon level of 37 pCi/l with the highest level of 79 pCi/l at the point of extraction. Transit time to NYC metro area is approximately 15 to 20 hours, depending on location of well, pipeline route, and transmission speed. Thus, the radon contained in natural gas from the Marcellus shale will not have nearly as much time to decay as the natural gas that is currently being delivered to NYC homes from Gulf Coast sources. This data suggests that the average radon level in New York apartments from burning Marcellus gas will be at least 20 times greater than it is currently. It could be significantly higher, up to sixty times current levels if the highest values in the USGS study are correct..
Public health experts are concerned that exposure to such elevated radon levels in Marcellus gas will result in a major spike in lung cancer deaths over time in the NYC Metro area. There are currently two bills in the State Senate and State Assembly that would require both monitoring for radon as well as establishing enforceable standards for keeping radon levels at a safe level in our homes. Tell your representatives to endorse and sponsor these bills, and spread the word to your neighbors, family and friends.